Leading Manufacturer of fuse holders, pbf fuse holders and fuse holder from Vadodara. 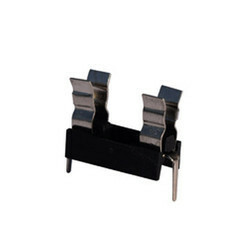 We are involved in providing an excellent range of fuse holders (PBF-1) that is extensively applied in numerous industries consisting automotive, electronics and telecom. These are engineered from supreme quality material, promising great performance and long service life. Our fuse holders are also provided in several technical specifications by strictly following the industry set norms. 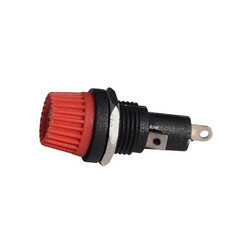 PBF Fuse Holders, which is highly efficient in performance and meets the quality standards. These are provided by us in several models and sizes in accordance with the requisite specification desired by our customers. We ensure our clients to deliver the consignments within the stipulated time period. Our fuse holders are also available in customized forms as per the need. Our comprehensive range of Fuse Holders (PBF-4) is offered in diverse shapes and sizes to meet different customer requirements. These are widely accepted and used in various industries for diverse purposes. We ensure our clients about the superior quality and durability of our equipment, which has a huge demand in the market. 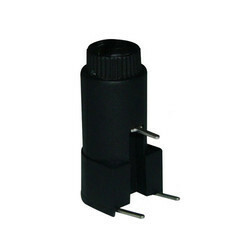 These fuse holders have H. V. Break Down of 2 KV/AC for 1 minute and PCB mounting style.